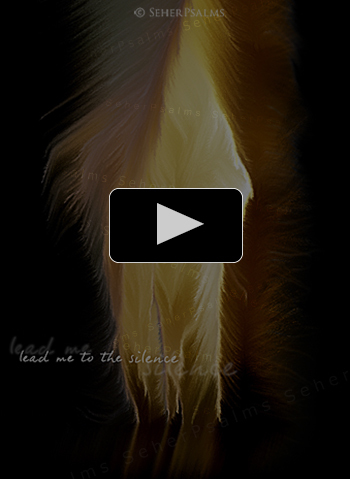 Lead me to the silence - the song of SeherPsalms: based on 1 King 19:11-12. Ref) Lead me to the silence in you, father, lead me to the quietude deep in thee. That I sense the gentle waft of your spirit. Want to hear your voice, whisp’ring to me. 1) Raging tempest who the mountains tore up at the Lord. I sought you in the tempest, but therein you were not. I searched for you in the force burst asunder the earth. Storm blusters, earth quakes where you, Lord, were not to unearth. 2) Mightily firestorm comes powerful afore thee. I took for granted with power you’re coming to me. Mighty and strong should the Lord be when he touches me; restive and questing the fire left me back here. 3) What quiet sound my heart so many times ignores, what gently wafting that tender and deep me restores. Spirit of God take me into the stillness in thee; teach me to listen to silence when you speak to me.